Throughout the ’80s, there were several iconic television moments. Some were from real life events, and others were from our favorite television shows. 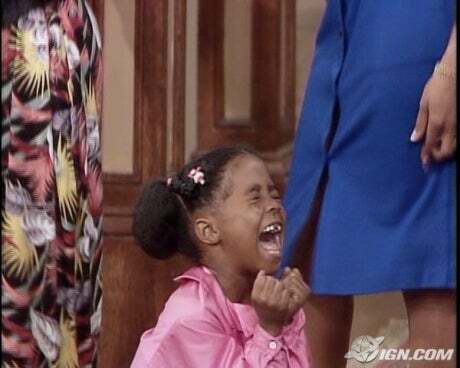 Last week, while I was home sick from work, I saw that several episodes of The Cosby Show were coming on. Oh yeah!!! One of the episodes was a classic that we all remember. “Happy Anniversary” originally aired on Oct 10, 1985 (Season 2, Episode 3), and is the episode where Cliff’s parents were celebrating their 49th anniversary. Before his parents arrived for the party, Cliff was discussing the fact that he and Clair bought them tickets for a 3 week European Cruise. Theo thought that gift was a big mistake, and that they should have sent them to Nairobi, where they could float along the river and see the mating of the wildebeests. But, oh well, it was too late. The tickets were already bought. Just before Cliff’s parents came in the door, the Huxtables were going over the game plan for the night. And don’t say anything about the cruise – it’s a surprise. Let’s see. Cliff is a doctor, and Clair is a lawyer. You would think they would have been smart enough say anything about a surprise in front of a 5 year old. Sure enough, the first thing Rudy did was to spill the beans and ruin the surprise! After Cliff’s ungrateful parents made up every excuse in the book on why they didn’t want to go on a cruise, the family had dinner. This was followed by the entertainment. Cliff’s parents enjoyed this present much more than the cruise. And it was a gift for us as well. Next, Cliff presented his parents a nice painted portrait for their final gift. Later on, they decided to go on the cruise after all, and were just going to take off without telling anybody. I hope you enjoyed this trip down memory lane!! This episode is one of my favorites from any show that aired in the 80s. Always brings a smile to my face.